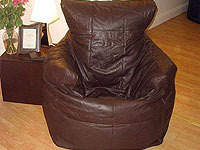 In order to meet excellent quality standards, we are supplying real leather bean bags arm chair. Dimension: 33" *23" * 36"
In order to meet excellent quality standards, we are supplying Bean Bag Arm Chair. We are amongst the most reputed names in the industry, offering Bean Bag Arm Chair. Sit comfortably in a Bean Bag Designer Arm Chair. Shaped like a traditional chair, bean bag arm chairs have a more sophisticated design. Bean bag arm chairs are perfect for satisfying the taste of both parents and children. 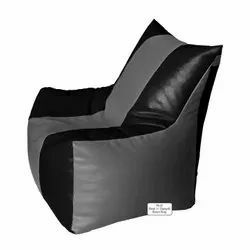 We are a top notch supplier of Bean Bag Arm Chair. Our reputed entity is engaged in supplying Bean Bag Arm Chair. - Durable chair with rich feel & Premium finish.